These adventures take place in Lankhmar, the City of the Black Toga in the land of Newhon -- created by the master story teller Fritz Leiber, many decades ago. Sundered from us by gulfs of time and stranger dimensions dreams the ancient world of Nehwon with its towers and skulls and jewels, its swords and sorceries. Nehwon's known realms crowd about the Inner Sea: northward the green-forested fierce Land of the Eight Cities, eastward the steppe-dwelling Mingol horsemen and the desert where caravans creep from the rich Eastern Lands and the River Tilth. 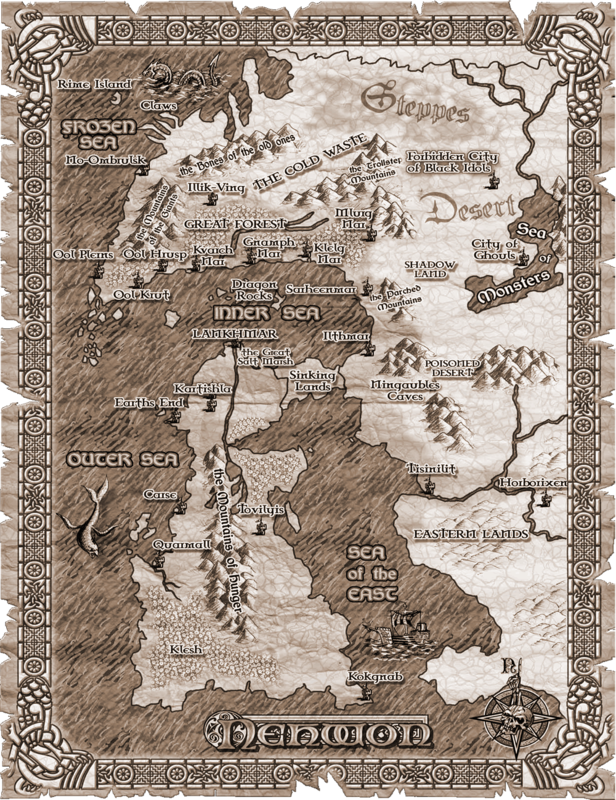 But southward, linked to the desert only by the Sinking Land and further warded by the Great Dike and the Mountains of Hunger, are the rich grain fields and walled cities of Lankhmar, eldest and chiefest of Nehwon's lands. 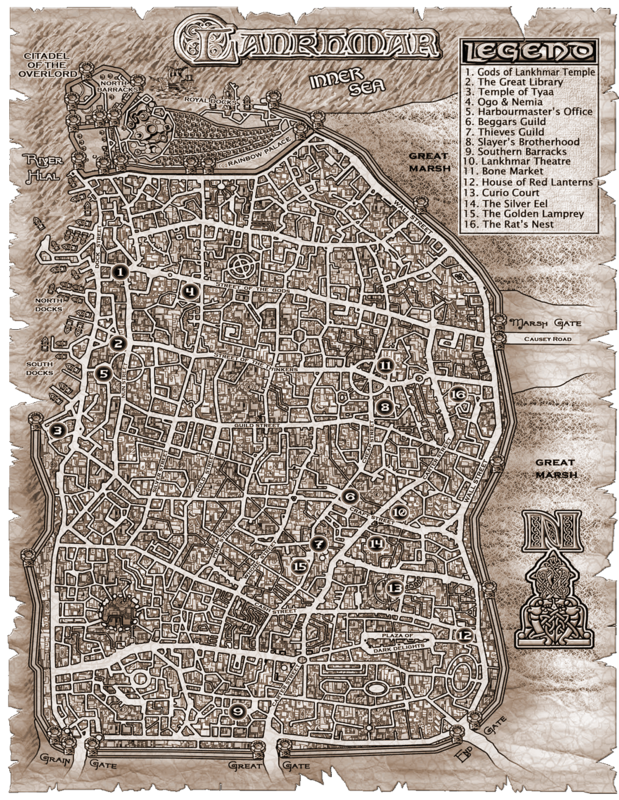 Dominating the Land of Lankhmar and crouching at the silty mouth of the River Hlal in a secure corner between the grain fields, the Great Salt Marsh, and the Inner Sea is the massive-walled and mazy-alleyed metropolis of Lankhmar, thick with thieves and shaven priests, lean-framed magicians and fat-bellied merchants -- Lankhmar the Imperishable, the City of the Black Toga. Here danger lurks down every dark alley. Sinister sorcerers summon terrible forces in their crumbling towers. Treacherous rogues of the Thieves' Guild prowl the Plaza of Dark Delights. Assassins from the Slayers' Brotherhood work the Tenderloin District. And hunched figures skitter beneath the streets, waiting for their chance to rise.